The Mall, Armagh is a congregation of approximately 250 families drawn from the city of Armagh and the surrounding area. Worship is a blend of traditional and modern, with strong emphasis on understanding the Word of God. We seek to apply the teaching of the Bible to contemporary life in a way that is understandable and relevant. 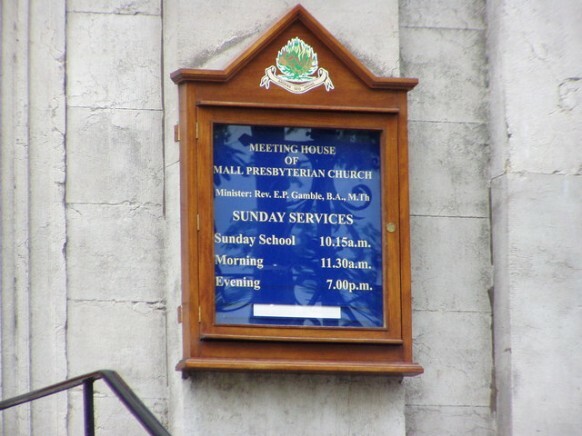 The Meeting House of The Mall is situated in the heart of the historic city of Armagh near to the Courthouse, facing out onto the area from which the congregation derives its name. You will find directions here. Rev Peter Gamble is the Minister of The Mall. A native of Ballymena, he was installed in April, 2005, having served previously in the joint charge of Clarkesbridge, Garmany’s Grove and McKelvey’s Grove on the south Armagh/Monaghan border. Prior to this he was Assistant Minister in West Kirk on the Shankill Road in Belfast.